A new study suggests the Department of Natural Resources has been underestimating the number of wolves killed illegally for years. University of Wisconsin-Madison researchers re-investigated the causes of death, as reported by the DNR, of nearly 1,000 wolves between 1979 and 2012. The study, published in the scientific Journal of Mammology, suggests that the most common cause of death was poaching and that the DNR systematically under-reported illegal killings. For example, the researchers studied x-rays of wolves the DNR reported as killed by cars and found that 37 percent were embedded with metal fragments consistent with gunshot wounds. Another finding of the study suggests that wolves without government radio collars were at a much greater risk of being killed illegally during the 33 year period. Treves said he would like to see the DNR re-examine its methods for determining causes of wolf mortality because illegal poaching is a threat not only to wolves but to management efforts by the DNR and tribal governments. “Moving forward we suggest some improvements such as doing these post-mortems on a random sample of the wolves and also careful study of the non-radio collared wolves because we found big discrepancies between the risk and rates of death of the non-radio collared wolves compared to the radio-collared ones,” said Treves. The statement also claims that the DNR “did not commission, fund or participate.” in the study. Treves disagrees saying funding did come from them and the U.S. Fish and Wildlife Service. The study acknowledges two grants received from the Fish and Wildlife Service and DNR. The new Congress wasted little time in efforts to once again remove gray wolves from the federal endangered species list. A bill introduced Tuesday by U.S. Reps. Collin Peterson, D-Minnesota; Sean Duffy, R-Wisconsin; and Liz Cheney, R-Wyoming, would overrule a federal court action and remove federal protections from wolves in the Great Lakes and mountain west. That already happened once, but a judge’s decision in late 2014 restored federal protections after wolves spent about three years under state control. The members of Congress, and the U.S. Fish and Wildlife Service, say wolves have recovered enough in those areas to remove protections. But wolf supporters say the wolf hasn’t recovered over enough of its original range to remove protections in the few states where it is thriving, like Minnesota and Wisconsin. Wolf supporters say state hunting and trapping allowed before the 2014 court order threatened to put the animals back on the brink of extinction. Similar bills have passed the House in recent years but failed to clear the Democratic-controlled Senate and White House. With Republicans in control of the House, Senate and soon the White House, the bill’s chances are considered much better. LANSING — Michigan’s 2014 wolf hunt law is unconstitutional, the Michigan Court of Appeals has ruled in an opinion released Wednesday. The court said a provision of the law allowing for free hunting, trapping, and fishing licenses for qualified members of the military is unconnected to the law’s object of providing for scientific management of game, fish and wildlife habitat. The entire law must be struck down, because it isn’t clear the law would have been approved if that provision had not been included, the court said. The ruling in favor of the group Keep Michigan Wolves Protected overturns an earlier ruling by the Michigan Court of Claims. In 2011, the federal government removed the gray wolf from its endangered species list in Michigan, but the group that challenged the law says there are fewer than 650 gray wolves left in Michigan and they should not be hunted. After earlier failed efforts to add wolves to the definition of “game” in Michigan, the Michigan Legislature in 2014 adopted a voter initiative backed by Citizens for Professional Wildlife Management, which gave the Michigan Natural Resources Commission joint responsibility, with the Legislature, to name new game animals. The law, which took effect in March 2015, included a $1 million appropriation, making it immune from being challenged through another referendum. Two wolf hunt laws that were on the ballot in 2014 were rejected by voters. Keeping Michigan Wolves Protected challenged the law, alleging misrepresentations were made by petition circulators and violations of the state constitution. But the Michigan Court of Claims rejected those arguments. A spokesperson for the group that pushed for the law, Citizens for Professional Wildlife Management, could not immediately be reached for comment. The court’s panel consisted of Judges Donald Owens, Joel Hoekstra and Jane Beckering. “Fed Up in Wyoming” reads the caption under this stunning photograph posted on a hunter’s Facebook page (reproduced here under Fair Use). The photo is yet more evidence that, two years after political reactionaries led a successful campaign in the House of Representatives and then the Senate to remove the North Rocky Mountain gray wolf from the endangered species list, the slaughter of wolves continues to escalate as wolf hunters fall deeper in their paranoid fantasy that the wolf represents a liberal conspiracy against rural communities. The Facebook page that originally posted the image belongs to two Wyoming hunting outfitters, Colby and Codi Gines. The Gines run CG Wilderness Adventures, headquartered in a highly remote part of Wyoming’s Bridger Teton National Forest, bordering on the southeast section of Yellowstone National Park. “Wyoming is God’s country, and we invite you to come see it for yourself,” says the Gines’ website. With the Klan-like hoods and the ostentatious display of the American flag, the photo is a glimpse into the mentality of those behind the anti-wolf campaign. There is, apparently, a cohort of people who view the destruction of wild nature as something to be celebrated, something quintessentially America. They are play acting at both patriotism and rebellion. And, in their play-acting, they reveal a great deal about the paranoid fantasies that have gripped some people in the age of Obama. It would seem that wolf hunting is the wildlife version of George Zimmerman’s vigilantism – self appointed keepers of order waging a battle against an imaginary enemy. Or maybe it’s worse, and the wolf hunters with their KKK masks are more like shades of Timothy McVeigh. The cammo gear, the rifles – it’s as if the wolf hunters were fighting a guerrilla war against Washington. As if they were worried that at any moment a US Fish and Wildlife Service black helicopter would swoop down and a SWAT team emerge, assault rifles blazing. But it’s a phony rebellion against a phantom menace. The wolves aren’t actually any danger to people or much of a threat to ranchers’ livestock. And the US government permits them to be killed. There’s no real transgression here requiring a mask. It’s all theater meant to self-impress. In April, 2011, the House and Senate sponsored a “rider” on a federal budget bill that removed gray wolves in the Northern Rockies from the protection of the Endangered Species Act. Here’s the very long story in short: Democratic Senator Jon Tester faced a rough challenge in the 2012 Montana election, and sacrificing wolves as expendable was deemed politically expedient to win the race. Wolf hunts renewed in Idaho and Montana that fall. Legal challenges by environmental groups against the delisting failed. Wyoming took until 2012 to win full federal approval for a plan to declare the lands near Yellowstone a “trophy zone” with wolf quotas. In most of the state, wolves can be killed year round without limits. The Gines’ hunting operation is in “Wolf Hunt Area 3.” In late October they reported killing two wolves, filling its quota of three wolves (one had been hunted earlier). Whether the wolf in this photo is one of the three legally killed is not known. The Northern Rockies have become an unsupervised playpen for reactionaries to act out warrior fantasies against demonic wolves, coastal elites, and idiotic environmentalists — the members of these latter two categories being “two-legged” wolves. The sheer extremity of the hatred shown to wolves, and the bizarre juxtaposition of the KKK-like hoods and American flag, plainly expose this movement for what it is: A scapegoating of the wolves by men and women who have succumbed to their own rage against imagined enemies. And while the failure of federal, state and local political leaders to denounce the anti-wolf movement illuminates their moral failure, history offers encouraging instances of public indignation creating change from below. Take, as just one example, the eventual take-down of Senator Joe McCarthy. After years of cynical Red-baiting, including accusing high ranking military and intelligence officials of treason, McCarthy was eventually brought to a kind of justice. McCarthy accused the US Army of harboring Communists and, in June 1954, in the course of a televised Senate investigation of the Army-McCarthy conflict, McCarthy accused a young lawyer working for Army counsel Joseph Welch of being affiliated with communism. After McCarthy repeatedly pressed his accusations, Welch savaged McCarthy: “Let us not assassinate this lad further, Senator. You’ve done enough. Have you no sense of decency, sir? At long last, have you left no sense of decency?” Welch’s indignation broke the spell McCarthy had cast upon the nation and ended his political career. Perhaps this latest wolf snuff photo will bring a similar kind of justice and force the public to declare, in no uncertain terms, that wolf killing is un-American. Maybe it will force people to ask: When will this indecent killing come to an end? I took it upon myself to write a shocontact infort e-mail to them in which I conveyed my own point of view to them and how utterly disgusting I think their line of business is. If there is anyone else out there who feel like doing the same you will find their contact info on the last page. It makes me sick to see such a majestic animal murdered in cold blood! From feature films to fairy tales wolves haven’t got the best reputation. And they’re not too popular with farmers in some parts of the US either. 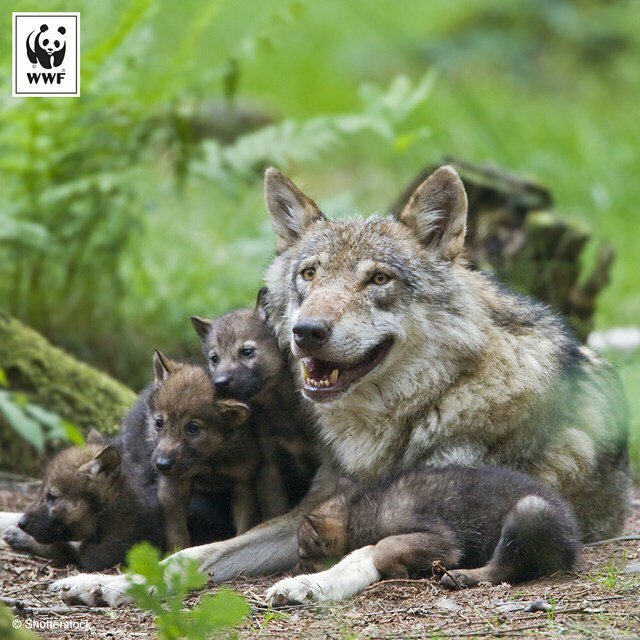 For years the wolves were hunted and killed but now they’re protected. Kirsty checked out why that’s got some farmers pretty angry. KIRSTY BENNETT, REPORTER: Wolves get a pretty bad rap. They’re either a scary superhero like Wolverine or appear as an evil werewolf character in the movies. In Australia, this is the closest we get to seeing wolves. But over in the US and Canada, these animals have roamed in the wild for a long time. This is one place wolves can call home. It’s the Wild West in America – a state called Idaho. Thousands of Gray Wolves used to hang around here but by the 1930s most of them were killed by hunters. Almost 70 years later, packs of wolves from Canada were brought back to the area to rebuild the population. Now, around sixteen hundred wolves live here and in two of the neighbouring states. They can’t be hunted either because they’re a protected species. And that doesn’t please some of the locals, who don’t think they belong. Ron’s family has lived on this range for more than a hundred years. His feeling towards wolves is pretty obvious, he doesn’t like them. RON GILLETTE: What are these wolves going to eat? We’re in a wildlife disaster right now they’re killing near everything. What are they going to do eat our livestock and then start eating humans? KIRSTY: Ron would normally be out hunting wolves by now. But the US Federal Court has put the animals back on the protected list, so they can’t be touched for the time being. It’s a frustrating situation for farmers like Luke too. He’s had to lock up his dogs and cattle behind huge fences to protect them. LUKE MORGAN, RANCHER: Now we spend a lot of nights and days worrying about how many livestock is actually getting killed by them. It’ll put a lot of ranchers out of business, which is hard on the whole economic deal. KIRSTY: So for some, wolves are public enemy number one. But for others, they’re great mates! NANCY TAYLOR, “WOLF PEOPLE”: Give mummy a kiss. Give mummy kisses. Good boy! KIRSTY: Nancy has been breeding wolves in captivity for about seventeen years. And she reckons their bad reputation is unfair. NANCY TAYLOR: They make him out to be a monster, a snarling evil creature which he isn’t. KIRSTY: Here, wolves look pretty similar to your pet dog. And they’re not really much different. Many scientists reckon that domestic dogs evolved from wolves. Over tens of thousands of years people have used selective breeding to get dogs for their own use. So if that’s the case, all dogs, including this little fur-ball are pretty close relatives! Hundreds of years ago, before white people moved in, Idaho was also home to the Nez Perce Indians who feel a strong connection to the wolf. Tribal leaders are joining the battle to protect the animal. This bloke reckons you can’t sacrifice a species just because it’s convenient. For the time being it sounds like the wolves are a bit safer than they have been in any fairytale. I seriously hate the way wolves are treated in fairy tales, they have a right to live in this world. Just put up fences! Simple! I like wolves and I think they should continue to be protected. Wolves are awesome like dogs they dont do anything to cattle. They should stay in America and be protected. Farmers shouldn’t shoot them. I think the wolves should be on the protected list because it was their land first . I think wolves should be controlled not kill them but just stop them breeding as fast but i dont think they should be killed as long as they don’t hassel the farmers to much. I think that wolves shouldn’t be able to roam free. People should fence a big bushland area off and put them all in there. Shooting wolves should not be aloud because it is cruel. I like wolves because they are not that dangerous if you want to pet them but if you try to harm them, they will attack back. I absolutely agree with all wolf supporters! Wolves should definately have the rights to not be hunted! Imagine if you were a wolf and you got hunted because you were a pest to some silly old farmer. Now that is just plain unfair!! !WOLVES MUST NOT BE HUNTED!!!! Wolves are amazing creatures they don’t deserve to be killed to save livestock. I thnk that it was a very touching story…. *Sniff* SAVE THE WOLVES!!!!!!!!!!!!!!!! I love wolves!!! DO NOT KILL WOLVES!!! I really think every single wildlife including wolves should be let free from captivity and I think every animal has the right to have freedom and to roam around the place. They can be free to survive and no one is allowed to hurt them. They are really rare now because harmful hunters killed them which is really bad so START SAVING WOLVES AND WILDLIFE!!!!!!!!!!!!!!! Wolves are native animals to the area, it could ruin eco systems to take them away. I reckon wolves should be around, have u farmers thought about how much u did to those animals and wolves just to plant trees?! And ITS LIFE part of the food chain – cant they eat wat we grow as well i mean we eat them? These people should be more sensitive. In the end, the wolves, as said, are just dogs. Do we kill dogs because they eat some cattle? No! (well, not domestic dogs) Wolves are wonderful animals. To harm or kill them is absolutely downright horrid and is a horrible crime. Save the wolves! Save the wolves! Wolves are just like dogs but not as well trained. Like totally wolves are soo scary! Wolves and Dogs are related to eachother. We find this very interesting. C’mon! Wolves kill livestock! It costs a lot of money and the poor farmers! I think it is good the way the lady cares about the wolves and how they are supposed to live. I think that we should look after the wolves. Because wolves are the best. It’s so cruel people want to kill an animal. there so FLUFFY!!!!!!! They shouldn’t kill wolves because they take too much space wolves are something like dogs that round up cattle and i do agree that they’re FLUFFY!!!!!!!!!!!!!!!!!! Yeah, I have a friend who loves wolves and I didn’t really know what she was on about before i watched this BTN story. Now i look at them and think ‘Wow, who would ever be cruel enough to want to kill this amazing creature just for fun.’ Seriously, though wolves are AWSOME! I think anybody who thinks they should go is mean. They have a right and anyway, they’re too fluffy to die!! I think wolves should be let free out of captivity and not be able to get hunted down. the white wolf was so cuteeeee!! I am glad that the wolves are protected and hope they will STAY protected. I think that the farmers shouldnt be hunting the wolves because they are soo CUTE and other stuff. Just because wolves are being wolves (as they should) does not mean they should die. Farmers just need to make an effort to put high fencing on their land. These beautiful animals cannot be killed- that is just cruel. 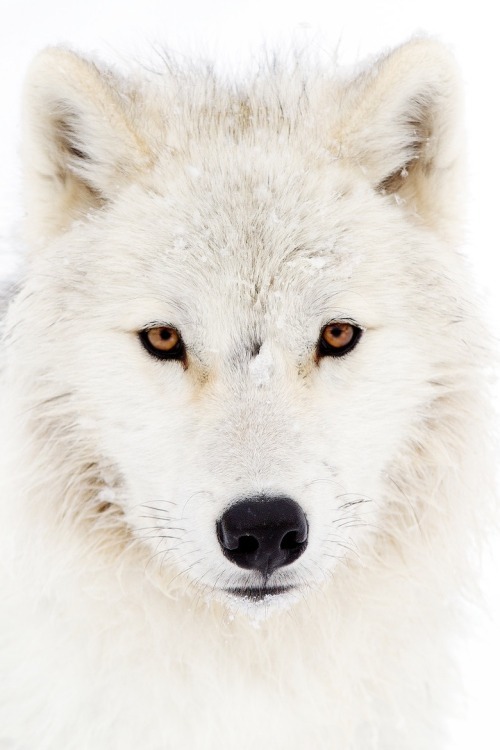 I think that wolves should be protected by law because they are animals and they have their rights as well as us. If farmers livestock are killed well than that’s their fault for not locking them up. Anyone else agree? I know. they are so cute!!!!!!!!!!!! WOLVES HAVE A RIGHT TO BE ALIVE!! IF WE KILLL OFF ALL WOLVES THEN THE FOOD CHAIN WILL GO OUT OF WACK!!! o.m.g wolves are soooo cute and…. yay got quiz right me cool. I happened to come across this old Australian article regarding wolves and I found it quite interesting! Especially the comments. To think this was written only 6 years ago! Times have changed, reached rock bottom only to start climbing slowly again. What pleases me most regarding this article and it’s comments is that the majority is pro-wolf! I’d appreciate my reader’s input through comments.